Malaysia is concerned over the crisis affecting the Rohingya in Myanmar as the situation may expose opportunities for terrorist groups to recruit new members among the refugees, according to Defence Minister Mohamad Sabu. Four Rohingya refugees were recruited by Islamic State (IS) cells in Malaysia at wage war against the Myanmar government, revealed the Malaysian police’s Special Branch Counterterrorism principal director, Ayob Khan Mydin Pitchay. Malaysia is home to a community of more than 100,000 Rohingya expatriates. “We are concerned that the Rohingyas could be manipulated to become suicide bombers or recruited into terrorist cells in this region,” Mohamad Sabu said at International Association of Counterterrorism and Security Professionals (IACSP). Mohamad said the refugees affected by such crisis are vulnerable to the influence of terrorist groups as they may feel that it is the only solution to fight back and return to their home countries. He drew similarities to the crisis between Palestine and Israel, where Palestinian refugees have been recruited by terrorist groups to become suicide bombers and he is concern that the same situation could happen to the Rohingya refugees. “This can no longer be considered as an internal conflict or domestic issue. ASEAN countries, the United Nations and other leading countries should play a bigger role to ensure that those who are driven out of their country may return in harmony in their respective home country, ” Mohamad said. Southeast Asia daces “very real” threats from ISIS and other terrorist organization despite their defeat in the Middle East. 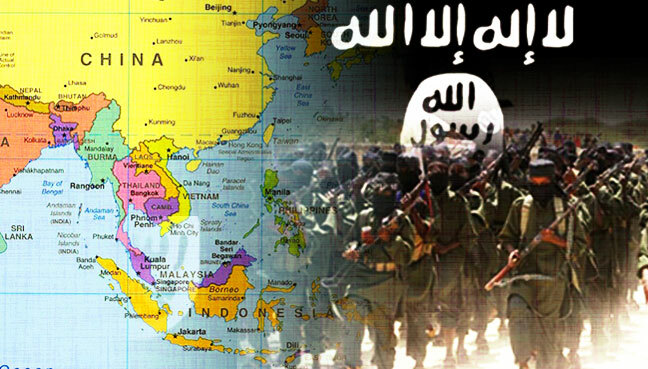 The black flag of ISIS has been raised in Southeast Asia. According to ICPVTR, the influence of ISIS has spread throughout Southeast Asia in recent years, with more than 60 terrorist groups in the region pledging allegiance to self-declared caliph Abu Bakr- al Baghdadi. Rohingya refugees, with their ‘nothing to lose’ spirit, could be manipulated by extremist groups to carry out terrorist acts, conforming to the ‘ death in combat’ ideologies which they could see as the only way to return home. Malaysian Law enforcement faces a serious challenge of monitoring over 100,000 refugees in Malaysia. In consideration of safeguarding the nation and eliminating such imminent threats, law enforcement requires an accurate identification of the information about the extremist groups in the region. As monitoring 100,000 refugees are the biggest challenge, existing conventional methods such as surveillance and informant tips prove time-consuming and risky, reliable and authentic intelligence is an essential part of solving this threat. Ayob Khan, Malaysian Special branch director, said the challenge of monitoring more than 100,000 Rohingya refugees in Malaysia could be only solved through in-depth intelligence gathering such who funds them, who trains them linking back to the extremist group in the region. Advancements made in neuroscience provide counter-terrorism agencies with a breakthrough solution for accurate intelligence. iCognative technology provided only by Brainwave Science is the only existing contemporary forensic technology that out-performs in terms of portability, accuracy, ease of usage and has proven track record to provide result, leads and intelligence with an accuracy of 99.9%. Utilization of iCognative enables acquisition of details recorded in terrorists or sympathizers or supporter’s brains with all information required to eliminate such imminent threat in approximately 45 minutes. In this case, iCognative technology can address the fundamental problem that is faced by Malaysian law enforcement, how to distinguish terrorist from 100,000 Rohingya refugees? iCognative test scientifically and accurately differentiates the terrorist from innocent and also determine if the refugee have any specific knowledge of any fact or situation, such as information about ISIS, name and picture of ISIS handler, the exact location of hideouts, route and other undisclosed information. Terrorists can lie and cheat the polygraph test but when confronted by iCognative test, they can’t hide any information because the test is unbeatable, extracting information directly from the source-human brain. The power of iCognative technology lies in its ability to quickly and accurately identify terrorists, sympathizers or supporters in the crowd of 100,000 refugees. All of this is accomplished by detecting concealed information in the human brain. It takes only 45 minutes to complete a test on a suspect and result can determine with 99.9% accuracy if the information under question is present or absent in the brain. With the accurate intelligence collected from this test, The Royal Malaysia Police can eliminate the threat by identifying and arresting potential ISIS sympathizers, handlers, terrorists, ISIS key members in Southeast Asia. iCognative sets the benchmark for innovation and performance as it is an exceptionally advanced, non-intrusive, and affordable security solution, posing great value for Malaysia and other ASEAN countries.